The news about establishing safe zones in Syria, the leadership reshuffle in Palestine’s Hamas and the Abu Dhabi meeting of two Libyan leaders, Khalifa Hifter and Fayez al-Sarraj, stole the limelight from the Algerian parliamentary elections held May 4, making them seem a more or less mundane event unworthy of much media scrutiny. True, one can confidently say on seeing the unchanged post-election landscape two weeks later that there was hardly anything sensational about the campaign. Algerian President Abdelaziz Bouteflika’s National Liberation Front (FLN) and the National Rally for Democracy (RND), the two major parties in the presidential coalition, retained their majority; moderate Islamists’ share of seats remained almost intact, and other traditional competitors predictably lagged far behind. Still, Moscow keeps Algerian developments on its radar screen — especially in light of what is happening in neighboring countries. For Russia, Algeria has been a vital Middle East and North Africa (MENA) region partner for technical-military cooperation dating back to the 1960s, when the Soviets helped Algeria equip its newly created army. Algeria has been a major Russian market for wheat and metal, while Russian energy companies have been developing Algeria’s hydrocarbon mining and building pipelines since at least the mid-2000s. So Algeria’s election held interest for Moscow and revealed some trends. One of these trends was the low turnout, which was just above 37% (unless overseas constituencies are included, then the figure was 38.25%). The Algerian government’s attempts to galvanize voters into casting ballots did not bear much fruit, even when Prime Minister Abdelmalek Sellal promoted the election as he toured the country. Citizens’ disillusionment with the country’s economic situation has simmered for years. In 2007, as many as 14.4% (965,064) of the ballots were disqualified, with the figure increasing to 18.2% (1.7 million) in 2012. Earlier this year, falling oil and gas prices triggered an economic crisis, driving people to the streets in protest. The economy could have produced a disastrous result at the polls. But Robert Parks, a seasoned expert on Algeria, was right when he claimed Algeria has not yet faced a crisis of the presidential regime. A decline in electoral participation has been characteristic of recent regional campaigns as well as national ones. However, the number of disqualified ballots this year — more than 2 million (24.47%) — can be interpreted as a sign of some crisis, even if it is not in full swing yet. Some people feel sidelined and excluded from participation and abstain from voting. Some people go through the process of voting but intentionally deface or otherwise invalidate their own ballots, demonstrating mistrust of the current government and the opposition alike. Many Russian experts on the MENA region believe the decision of all the major parties to join the race — which distinguishes the 2017 electoral campaign from the one in 2012 — reveals the parties’ complete integration into the highly consolidated political elite and desire to work within the constitutional framework. To Russians, the problems the Algerian elections brought to light are reminiscent of the difficulties Russian society experienced during the September elections. Deputies of the State Duma, Russia’s lower legislative house, enjoyed the support of all the parties, which went almost unnoticed by ordinary citizens. Voter turnout was 13% lower than in 2011. Both cases prove that the political establishment has completely divorced itself from the concerns of ordinary people, with the latter unable to find effective representation and disillusioned with all political ideologies. France and the United States have witnessed similar situations. France’s recent presidential runoff saw a fourfold increase in blank and spoiled ballots over the first round. US President Donald Trump’s electoral success was widely interpreted as a rebellion against political elitists. Thus, the developments can be referred to as part of a global trend. In fact, nobody knows what most of the world’s population wants. Nor do people have a clear vision of their own aspirations. Consequently, the Algerian parliament represents the interests of the estimated 6.4 million people who actually voted, out of more than 41 million citizens. Central governments face a clear credibility gap all across the world. Waning support for the FLN and the RND’s growing popularity deserve special attention. As Russian pundits believe, this trend testifies to the strength of former Prime Minister Ahmed Ouyahia, one of the RND’s founders and the party’s current leader. Ouyahia is considered one of the most likely candidates for the presidency, backed by his considerable government experience and credibility among most establishment forces, his moderate but pro-national stance and a fluent command of Tamazight (which was recognized last year as an official language of the country). At the same time, Algeria’s political system allows little scope for accurate predictions. Regardless of further developments and Ouyahia’s role, it is evident that any government in power will have to press ahead with some unpopular reforms, which, in their turn, will require confidence-building measures among the people. Making progress in foreign policy issues would help with that greatly, especially regarding Western Sahara, the Algerian-Moroccan relationship and Libyan issues. Algeria shelters an estimated 165,000 Sahrawi refugees, the indigenous people of Western Sahara — a disputed territory claimed by Morocco. Morocco left the African Union more than three decades ago when the union recognized Western Sahara’s independence. Morocco recently rejoined the AU, which Algeria takes as a sign that Morocco also will acknowledge Western Sahara — but more likely it will only mean Morocco will have a louder voice on the continent and will perhaps gain better cooperation from other countries. The Moroccan royal family’s strong international positions leave little room for fence-mending on Algeria’s terms. Therefore, working on the Libyan issues looks to be the most logical play. In this context, the May meeting of representatives of Libya’s neighboring countries — which brought together the foreign ministers of Algeria, Tunisia and Egypt — comes into sharp focus, as does a subsequent security-related conversation among Sarraj, Sellal and Abdelkader Messahel, Algeria’s minister for Maghreb, African and Arab affairs. Nevertheless, when Algeria’s activity is appreciated by Tripoli, it raises the ire of the rival government in Tobruk, which backs the “renegade general” Hifter. This situation is illustrated by the House of Representatives meeting during Messahel’s recent trip to southern Libya, where he was met with howls of outrage. The response seems to have been conditional upon the differences between regional stakeholders — pro-Qatar Algeria and largely pro-Saudi Egypt — as well as the split state of affairs in Libya. Russia, backed by its partners and maintaining close relations with Hifter’s Libyan National Army and Algeria, could help soften Tobruk’s and Algeria’s stances toward each other, which would benefit all the North African countries. Fighting terrorism by the military means has always required a surgical precision and in-depth understanding of people and forces that take part in a local conflict. A well-known French expert on Islamic studies Gilles Kepel in 2000s explained a model of counter-terrorist activity that can still be applied for modern conflicts. According to this model if a responsive strike against Islamists is carried out without decent planning and leads to the casualties among the civil population, the civilians will start to sympathize terrorists, creating an impasse for conflict resolution. Let’s imagine that the provinces of Raqqa and Deir ez-Zor are freed from the Islamic State. It does not matter who will free them - Syrian Democratic Forces alliance with direct US military support or pro-government forces operating together with the SDF to claim some territories in these provinces. We may also omit the topics, which may fuel the conflict and contribute to ISIS revival: partition of the territories, ethnic and confessional misbalance and the timeframe for political settlement in Syria. It is just important that the East of the country is free from ISIS thanks to the joint effort that somehow resembles a broad international coalition, which Kremlin has long been pleading to create. The military intervention in Syria has predictably divided Russian public into three main camps: those who are firmly in favor or against the participation of the country in the conflict and those who have a shifting position. The last group is mainly represented by the middle-class. The partisans of the operation are sure that Russia has a long-term strategy in the Middle East, knows how to get out from the Syrian impasse and they approve of Kremlin’s decision to wage war against all the militants in Syria that is required “for us and for the whole world”. They discard any criticism towards Assad regime as “the Western conspiracy” and believe that Russia may risk being attacked on the rear by the remaining “other terrorists” if it engages ISIS in the East. 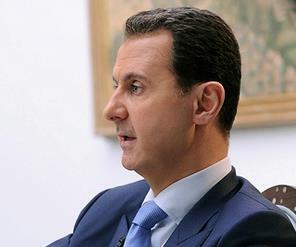 They do not acknowledge that these “other terrorists” may be an opposition to the regime and consist of Syrians. The opinions of the critics of the pro-government media are portrayed as cries of madmen, who are condemning unreasonably high military spending and losses, participation of Wagner Group, imperial ambitions and interests not only in Syria, but also in Egypt and Libya. Ordinary Russian citizens who are fed by the media which blames everything on US and Gulf countries, speak about “fighting terrorism early on”, “ruining the plans of the damned West” and about the resolution to support the strategic allies – Damascus and Teheran. Although sometimes Afghanistan is recalled, Russians always comfort themselves by saying that it is a completely different case – the scale of involvement was different and the losses were significantly higher. It is not worth an effort to participate in this argument. As always the truth is somewhere in between. But the qualified experts prefer not to risk their career and begin their publications or speeches on Syria by mentioning “the machinations of the West” and the terrorist nature of the entire Syrian opposition to please the ruling regime. Why Russia launched its operation in the end of 2015 when the Syrian army was loosing and decided to side first with Shabiha and then with Iranian Shia International, letting them into the country? Whether the late intervention of Russia into the Syrian crisis is directly related to the Ukrainian crisis and to the willingness to impose a “dialogue on an equal footing” on the West? Whether Kremlin projects its perception of Russian opposition on the Syrian one and whether the list of the moderate groups is related to the forthcoming presidential elections in Russia? Why did Assad regime fuel Jihadi ideas among Sunnis during the Iraqi war and send “green buses” with militants from Aleppo and Damascus provinces to Iraq through border town of Al-Bukamal? Why did Assad regime free the most extremist imprisoned Islamists at the beginning of peaceful demonstrations? If these issues are considered, Russia will have to admit that at first Damascus supported Islamists and suppressed healthy opposition, ignored Russia’s requests for extradition of extremists who fled to Syria after the war in the North Caucasus, and then took part in islamization of protest movements. For Russia it is better not to comment on the cooperation of Russia with Free Syrian Army in 2015 and on the bombardments of Liwa al-Haqq in Raqqa and Jabhat al-Nusra - in Deir ez-Zore, while these groups were not actually present in these cities. So, it is very inconvenient to comment on these issues and it is in fact useless – any honest answers will be silenced by the wave of criticism. It is trendy to fight terrorism now. Thus, many Russian experts and media wrote about the “fall of ISIS in Aleppo” in the end of 2016 without even suspecting that the first ones to engage ISIS in Syria were the FSA units in Aleppo but not the Kurds in Kobani. From the very beginning of the military operation Moscow in fact refused to acknowledge the civil character of the war in Syria, depicting the conflict only as a struggle of Damascus against terrorists. Unfortunately, this idea became hardwired in Russian expert community and represents one of the gravest mistakes in the fight against terrorism made by Russia. The truce achieved in December despite the regime’s attempts to suppress the enclaves of opposition is surely the correct way to counter terrorism. However, even in the event of successful negotiations in Astana and the armistice preservation, there is still a risk that these measures will not be sufficient to resolve the real causes of the conflict. The situation is aggravated by the fact that Syria and Iraq resemble communicating vessels (the so-called Wilayat al-Furat). And not only on the ground, but also underground: the Syrian-Iraqi border is crossed by the system of tunnels that was upgraded during Saddam Hussein rule. It is a perfect hiding place and R&R base for ISIS militants in case they lose Mosul and Raqqa. Confessional nature of the war waged by the Alawite Assad’s regime and his elites against the Sunni population, which became a gift for Al-Qaeda and later for al-Nusra, ISIS and other groups. Instead of concentrating its efforts against Al-Qaeda and ISIS from the very beginning, Damascus focused on eliminating ideologically moderate armed groups thus augmenting the opportunities for extremist organizations. The strengthening of Shia groups just upgraded the scale of war. The leadership of Al-Qaeda set a course to infiltrate Syrian revolutionary movement back in 2012 and used ideological pressure on poor Sunni population to achieve this goal. Generally speaking, Al-Qaeda’s involvement in Syria was not limited to Jabhat Fatah al-Sham. For instance, the exit of Jund al-Aqsa (then Sarayat al-Quds) in 2013 from al-Nusra when the latter confronted ISIS on the North of Syria, was conceived to assure the influx of foreign Mujahedeen to Idlib and Hama. In this sense, the religious rhetoric of Ahram al-Sham and Jaysh al-Islam largely prevented Syrians from joining international al-Nusra and Islamic state. Nevertheless, in the context of struggle with the regime in the West al-Nusra gained a reputation of the main military movement participating in the large-scale opposition operations. The rebranding of al-Nusra into Jabhat Fatah al-Sham and its divorce with Al-Qaeda was supposed to dissolve it among other fractions and make it an exclusively local movement. This new image was presented mainly for the Syrians themselves. Unfortunately, Russian airstrikes, which continued the strategy of Damascus and Teheran, led not to the dispersion of the opposition but to consolidation of radical and moderate movements and to enforcement of al-Nusra by more than 3-4 thousands new Syrian recruits. So, the situation is aggravated by the fact that al-Nusra became a movement with a Syrian majority. It seems that the IS will retain its capacity of the international terrorist organization, even in the event of the defeat in Syria and Iraq. Firstly, due to the spread in more than 20 countries they will still be able to maintain the brand of a “state”. And the independence of the branches of the parent company makes the situation more difficult. Secondly, the experience of the survival of Al-Qaeda after the defeat in Afghanistan tells that a relatively small area is needed to lead terrorist operations form "safe haven". But the experience of Iraq shows that even a few dozen experienced jihadists are able to revive an old structure. In these conditions, reactionary methods should be replaced by a long-term counter-terrorism strategy. Saudi Arabia is ready for US President Donald Trump’s visit amidst mounting concerns about his temperament towards Arab and Sunni Muslim strategies to combat terrorism. On his first overseas trip, Trump will seize this visit to cement ties with Arabs and Sunni Muslims in a bid to shove aside Iran, a rival for Sunni Muslims as he claimed on many occasions. With Saudi preparations to dazzle the American president for his visit to Riyadh, where King Salman, his Crown Prince and Minister of Interior Mohammad bin Nayef and Deputy Crown Prince and Minister of Defense Mohammad bin Salman try hard to prove to Trump that Saudi Arabia is the center of influence in the region as there will be a meeting on the tripartite summits for the Islamic Military Alliance to Fight Terrorism which groups officials and officers from the concerned Muslim and Arab states along with the Americans. The other topics on his agenda are Iran and Syria as Riyadh has hailed Trump's rigid rhetoric on Iran regarding the nuclear deal. Other analysts from Saudi believe that such a visit would restore what Obama ruined during his tenure, describing Trump’s electoral campaign slogans against Muslims as mere propaganda. The summit between Trump and Saudi royals will helps Saudis build on the visit to display that Saudi Arabia is an earnest honest reliable and credible partner in the war on terror and is sincere to fight radicalism. With all eyes on the American president’s visit, the most of the regional moves currently being made by the US in the Middle East region which include the Eager Lion military exercises in Jordan aim to declare war on terrorism and those who support them, entailing drying up terrorists’ financial resources and criminalizing radical factions. This summit comes after a closed door meeting in Washington DC early May between some Arab countries and the Americans regarding the coming scenario in the region starting from the Arab-Muslim-American Summit in Riyadh and the military drills in Jordan which would be a sign for Iran on the eve of its presidential elections. The summit would result in imposing financial sanctions on the some Iranian figures, supporters and sympathizers around the world. Amongst the moves will be further measures to monitor money transfers to create difficulties for it Iranian leadership in financing its political and military structures in Syria and Iraq. The Summit in Riyadh will also close the curtain on the war on Al-Nusra Front and Daesh in line with Astana agreement which delegated this mission to liquidate these factions to the moderate Syrian opposition factions backed by the US, Turkey, Saudi Arabia and Qatar. Regarding Daesh, the terrorist faction has lost Mosul strategic locations and the war on Raqqa to liberate it from this terrorism group will start soon shortly after mid-Ramadan through the US-backed Kurdish Syrian Democratic Forces (SDF). The war will start once there is adequate number of American tanks and armored vehicles. That explains why the Americans approved the decision to arm the Kurds with heavy artillery. Once terrorist in Syria and Iraq are destroyed, there will be no reason for any Iranian presence in both countries, thus, a new economic war will start on Iran accordingly if it refuses to withdraw from both countries. This is also on the agenda of the summit between Arabs and Trump. Will this lead to a future war in the region? What American analysts are gleeful about is that the visit aims to send powerful messages from the new president to Sunni countries that after 8 years of strained ties under former president Barack Obama, a new page has been opened with an announcement of setting up an Arab NATO led by the US and funded by the countries of the region. Will the four safe zones end the Syrian conflict? After shuttle visit of some officials from Syria and of Jordan to a number of capitals along with meetings in Sochi between Russian President Vladimir Putin and his Turkish counterpart Rejeb Erdogan in the aftermath of a tripartite meeting of ministers of defense of Syria, Russia and Iran in Moscow early April, 2017, the prospects to establish safe zones under the supervision of three guarantors of a truce in Syria - Russia, Turkey and Iran are at stake as chances of success are in the offing to cease the 6 year long war in the country, which incurred a death toll of 400,000 and displacement of more than 11 million people. Some regard that the agreement, signed by the representatives of Russia, Iran and Turkey in the city of Astana which provides for the establishment of areas of "easing the escalation" in Syria in implementation of a plan presented by President Vladimir Putin after a phone call with American President Donald Trump to restore Geneva roadmap to reach a political solution to the Syrian crisis, would be fruitful if the concerned parties are committed and if the memorandum is applied literally. This would be successful to uncover those who are against reaching a real and true peace truce in the country which are Daesh and Al Nusra or the so-called Al Sham Liberation Organization (Ahrar Al Sham). After the approval of the Astana memorandum to set up four 'security areas' or what is geopolitically known as safe and buffer zones - in Syria, the implementation depends on the areas that will be included as per the map which will be announced by June 4. The memorandum stipulates that there should be four safe zones with check points and points of observations near the borders of low-tension zones or buffer zones which are labelled as ''de-escalation zones''. Though the opposition members have not approved the document and walked out of the meeting, the three guarantors, mainly Turkey which has very close ties with both Daesh and Nusra fighters will help set up these zones in Syria to pave the way to restore peace and stability before the major air-strikes on Daesh in Eastern parts of Syria and Western parts of Iraq start this summer at a comprehensive level. The most important point in this document is the literal text, which stipulates that "the three guarantors of this agreement must assist the Syrian government forces and the armed opposition in organizing and supporting the armed forces and their affiliates, as well as forming a working group within five days to establish the safe areas. "This paragraph means that the "moderate" armed factions are to join the Syrian armed forces efforts in combatting and fighting Daesh and Ahrar Al Sham. This is a major political and military makeover in the Syrian crisis, which gives credit to the Syrian regime. Some Jordanian sources believe that the Astana memorandum provides for a halt to hostilities between the military opposition and Syrian armed forces in these 'safe zones' where ceasefire will be effective as of May 6, 2017. The memorandum is valid for six months, extendable for another six months. The four 'safe zones' encompass province of Idlib and some parts of Lattakia, Aleppo, Hama and Homs, Reef Damascus or the so-called al Ghuta or Damascus Vicinity, Dera’a and Quneitra by the borders with Jordan. The inclusion of Dera’a and Quneitra was the main one as it is of great concern to both Jordan and Israel due to the intensive presence of terrorist fighters in these two areas along with Hizbollah and Iranian forces. The signs of the success of this memorandum were uttered by UN special envoy for Syria, Staffan de Mistura who called the memorandum ''important, promising and positive, a step in the right direction to deescalate the conflict''. The chances of success of the agreement are reasonable because alternative options are disastrous, and the Syrian people are looking forward for a sigh of relief and a breakthrough for their conflict after six years of killing and destruction. However, there are chances to "sabotage" the agreement through a continuum of arming and funding these terrorist groups. Are the US, Russia staking out territorial clout in Syria? On April 22, the Russian Federation Council — the upper chamber of the Russian parliament — stated that Moscow could supply Damascus with air defense systems “on a priority basis.” However, no specifics were provided. A day before the statement was issued, Syrian President Bashar al-Assad noted that Syria and Russia were holding talks on new arms deliveries, including air defense systems. As early as April 7 (shortly after the US airstrike on Syria’s Shayrat air base in retaliation for Syria’s alleged use of chemical weapons on its own people), Russian Defense Ministry spokesman Maj. Gen. Igor Konashenkov told the media that Russia would soon help strengthen Syria’s defense systems to shield the infrastructure. If approached critically, the statements can be taken with a grain of salt. Bolstering Syria’s air defense doesn’t benefit Russia. Rather, Russia should use the threat of US airstrikes to pressure Damascus and Tehran to work toward a political solution and should also take advantage of Syria’s dispersed aircraft to control the Syrian air force. At the same time, Russia's military and pundits refuse to recognize that Tehran, by becoming involved in the battles for Wadi Barada and East Ghouta, derailed the struggling negotiations in Astana, Kazakhstan, under the far-fetched pretext that it was fighting Jabhat Fatah al-Sham in places where the group doesn’t even operate or has very few soldiers. 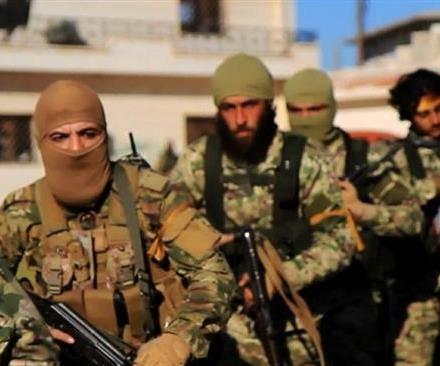 That action provoked moderate opposition groups to join jihadi group Hayat Tahrir al-Sham, so that Syria's pro-government forces would release their grip on opposition enclaves outside Damascus. However, it is hard to say what lessons the Kremlin has drawn from the results of Tehran’s actions. In a bid to impose "equal-footing dialogue" on Washington, Moscow has repeatedly changed its stance on Syria regarding both Russia’s military presence and the Syrian opposition. In October, Russian journalists reported on a possible dispatch to Syria of a Pantsir-S1, a short-range air-defense system designed to protect strategic military and civil targets. Under the pretext of the potential for American strikes, Moscow may expand its previously "behind-the-scenes" steps to strengthen the military infrastructure. Any information about additional troops or the military’s use of Syria’s infrastructure is labeled media hype. Russian and American commanders prefer not to disclose details about their “boots on the ground,” and they deny any rumors or reports. In 2015, in his comments on the deployment of a Russian task force at Shayrat, Konashenkov emphasized "the absence of any operational need to establish additional military bases in Syria, whatever ‘couch strategists’ predicted.” Yet satellite imagery has repeatedly confirmed Russia is using Shayrat as a stage airfield. Russia’s military presence in Syria goes beyond Khmeimim air base and Tartus naval base. Despite the international media’s and experts’ current keen interest in Khmeimim air base at Latakia, the country’s deployment of Iskander-M short-range ballistic missiles there remains uncorroborated. However, there have been sightings of Iskander transporter erector launcher vehicles. While some Russian experts are quick to highlight the sub-strategic and deterrent role of the missiles, especially given Turkey’s unpredictability, others are disposed to link the Iskander with a new modified combat support vehicle known by the Russian acronym MOBD. Although July 2016 commercial photos of the air base revealed two Iskander-M launch and transport vehicles at the site, the evidence is inexplicably overlooked. Moreover, Russia’s activity at the Kuweires air base in Aleppo, recaptured by Syria's army in November 2015 and fully reopened in March 2017, stays under the radar. In early January 2016, rumors about increased Russian military presence at the airport and deployment of air defense forces started to circulate. Those reports were substantiated in July 2016. When comparing satellite pictures of different years, analysts saw both the prepared ground for installing S-200 launchers and their deployment in the northwestern part of the airport. Russian specialists undoubtedly had rendered assistance, since the sophisticated systems were deployed in Homs and south of Damascus decades ago, back in Soviet times. Moreover, they cannot be redeployed elsewhere, given their concrete bases and the length of some cables, exceeding a kilometer. The Pantsir-S1 air defense systems were also detected at the site. However, it still remains a mystery whether MiG-31 supersonic interceptor aircraft, able to fire long-range missiles, were deployed at the Kuweires base to patrol the area. An Al-Monitor source indicated that photos of the fighters were actually taken at the Kuweires base rather than at Khmeimim, and their redeployment was needed to improve the Russian air defense system. The presence of Russian artillery units, special operations forces, military police and fighters from the private Wagner military group in other provinces does not imply that they are constantly based in an area. Russian military experts engage in combat for tactical purposes, and in most cases they train recruits and retrain the soldiers of the fifth corps of the Syrian army. They also deliver humanitarian aid and negotiate with the opposition. Al-Monitor has been informed that since the conflict between the pro-government Syrian forces and the Kurds erupted in August 2016, the Russian military has been acting as peacekeepers. Since then, Moscow has maintained a reconnaissance mission in Qamishli. The Russian Aerospace Defense Forces and their effectiveness are extensively covered in the media, but helicopter activity at Kuweires, Shayrat and Tiyas air bases remains obscure. The tasks carried out by helicopter units include protection of the Khmeimim military base and support of Russian troops and Syrian pro-government forces as they combat Islamic State (IS) militants. To complete the operation to retake the IS stronghold of Raqqa, the United States is building up its military presence and developing new airfields in Syria. It remains to be seen how many airfields will be built and how long they will remain, but the view in Russia is that after the provinces of Raqqa and Deir ez-Zor are liberated by the Syrian Democratic Forces (SDF) coalition, the United States will be reluctant to abandon its military infrastructure in Syrian Kurdistan. In fact, that infrastructure would enable Americans to remain in the heart of the region and to annoy Erdogan by responding symmetrically to his threats of restricting US use of Incirlik Air Base. Formally, the US military states that it uses the facilities in northern Syria only to deliver and handle the cargo dispatched to its anti-IS allies. However, at least two tactical missiles are known to have been launched against IS units with the high mobility artillery rocket system deployed in Kobani. The United States has two facilities in this area. One is on the territory of the former Lafarge plant, where AH-64 Apache, Black Hawk and CH-47 helicopters have been detected, and a new one with a landing strip is being constructed about 20 miles south of Kobani. Apart from Manbij, where US military forces halted the advance of the pro-Turkish Free Syrian Army in late February, Americans and their NATO allies use Ayn Issa facilities to train SDF fighters, as well as the Abu Hajar airport in the Rmelan area. US engineers are rebuilding the Taqba air base freed from IS in late March, transforming it into the Qayyarah-2, a logistics center similar to the Qayyarah base in Iraq. Although the external players, in particular the United States and Russia, officially deny Syria is being divided into de facto zones of influence, the separate use of the military facilities testifies to the opposite. However, if the parties manage to channel the conflict onto a political track, Russian and US troops may act as guarantors of the Syrian-style Dayton Agreement. Responding to Trump’s cruise missiles attack on Syrian Shayrat airbase, the tripartite meeting of foreign ministers of Russia, Iran and Syria was held today in Moscow. The meeting ended with a resounding ‘no’ to the Washington’s ‘Great Middle East Project’, and with equally resounding confirmation of already established policy of common fight against the plight of terrorism. A week ago Trump made a sudden change in his proclaimed policy of de-escalation and international cooperation, and during a meeting with Chinese president Xi Jinping ordered a cruise missile strike on a Syrian airbase near Homs, aiming to force Iran and Russia to cease supporting Syrian government. The trilateral meeting of Lavrov, Zarif and Muallem in Moscow today proved Trump, his enemies and his foes wrong about Russian and Iranian responses to the strike. The meeting confirmed that there is no basis for rumors that Russia would abandon either of its two allies in Syria. Moreover, the three parties confirmed that Western media and political establishment are so deeply entangled in their own narratives that they are unable to see the reality. The reality is that the legitimate Syrian Army under the command of the Syrian government led by its president Bashar al-Assad, with the support of Russia and Iran, is winning the war against various militant groups ― most of which are internationally designated terrorist groups. The strike has clearly not accomplished what it was made to look like. It did not stop or deter Russian or Syrian armed forces, but has only strengthened their resolve to obliterate the terrorists. Moreover, the strike was conducted based on the information about a ‘chemical attack’ that the US military and intelligence, supposedly, have collected from online sources. The key information sources being al-Qaeda linked ‘rebels’, with dubious tweets and other social media posts that have appeared before the strike was reported to have happened―leading many analysts to conclude that the attack was another ‘false flag’ alike the Iraqi war WMD fabrication. This was reiterated by Russian and Syrian officials, including yesterday’s interview with Syrian president Bashar al-Assad. Without verifying the data, without a proper, internationally approved investigation of the alleged attack, and moreover, without a UNSC approval – US once more unilaterally attacked a sovereign country, something that the world has witnessed few times before. Flagrant breach of the international law by the United States went unsanctioned again. 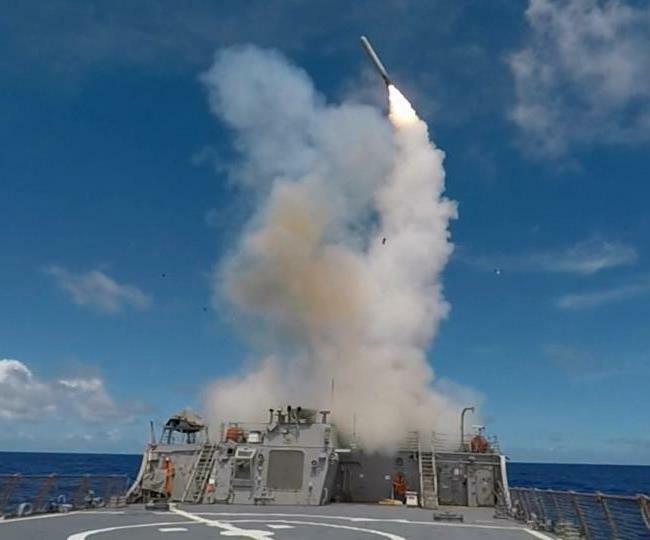 The message sent from the meeting back to the US and its allies is that three parties agree the US strike was "an act of aggression, a flagrant violation of the principles of international law and the UN Charter." The three top diplomats reiterated insistence on “the strict fulfillment by all without exception of those obligations set forth in the UN Security Council resolution, including full respect for the sovereignty and territorial integrity of the Syrian Arab Republic". With the airbase strike Trump team hoped to send a warning message to Syrian president and his allies Russia and Iran that the US still plays a role in the Middle East. The tripartite meeting shows that the message has not accomplished the hoped for result in that target audience. The offensive against terrorist and militant groups has only intensified in Syria, and at this juncture seems unlike to abate. The only thing that could change the balance of power on the ground in Syria would be another surprise from the American side. The rumors have it that tens of thousands of ground troops are being prepared to deploy in Syria. Should that happen things will get extremely messy and spillover effects will be felt in a number of countries in the region, as well as Europe. However, to show that they mean business, Russians have intensified their diplomatic efforts on other fronts as well. Tomorrow Moscow is hosting another key figure for the resolution of the Syrian crisis, a Qatari foreign minister Mohammed al Thani. Not less important was the BRICS meeting in India’s Visakhapatnam, on April 12 – where special envoys for the Middle East have issued a similar communiqué strongly supporting sovereignty and territorial integrity of Syria. Not to forget two other key players in the Syrian game of war – Turkey and Saudi Arabia, there is action on those fronts as well. Today, Russian and Turkish presidents have both called for an objective international investigation into the use of the chemical weapons in Khan Sheihoun in Syria, that served as a pretext for the US cruise missile attack. The unreliable one remains Turkish president who keeps switching sides. Following the alleged attack Turkey ‘confirmed’ the use chemical weapons and after the US strike on Syria offered its military support for further actions against its neighbor. 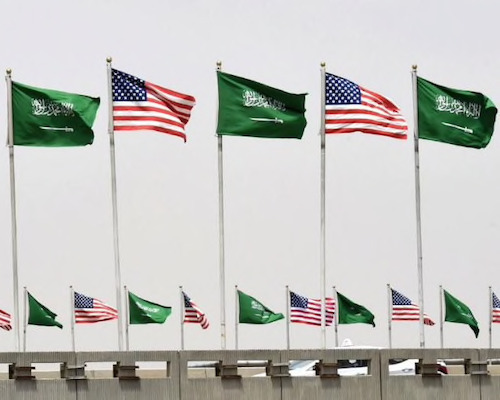 High level meeting headed by the Chairman of the Federation Council Valentina Matviyenko in which Russia reportedly counts on Saudi support, will be held in Riyadh from 15 to 17 April, during which the fight against terrorism will be discussed. The meeting follows early April discussions between the Saudi King and the Russian president on the importance of bolstering international joint efforts in the fight against terrorism. Rex Tillerson arrived to Moscow on Tuesday, having paralysed the traffic in Russia's capital, as police was blocking the roads to make a free way for his cortege, making blocked in traffic Muscovites send millions of curses in his address. The paralysis on the roads caused by Tillerson is very similar to the paralysis that has recently occurred in bilateral ties between the two powers, following the chemical attack in Idlib province reportedly committed by the loyal to Bashar al-Assad forces and then the strike of the SAA air base in Homs by the US «Tomahawk» missiles. The bilateral ties have reached the very low since the collapse of the Soviet Union and were about to pierce the bottom. The global uproar was at such extent that clash between the West and Moscow over Syria seemed inevitable. Russia has withdrawn from the the US-Russia air safety memorandum in SAR airspace and made it clear that in case of any further aggression threatening its safety will respond correspondingly to the challenge. Before the visit Rex Tillerson has sent Russia a kind of verbal ultimatum-like message to chose the side: with Iran and Assad or with the US. He was expected to bring to Moscow this ultimatums and tough rhetoric. But apparently he has lost them on his way to Moscow. The talks were finally constructive. The global attention was engrossed to the visit of Tillerson. The allies were impressed by strong démarche of Trump all had been waiting from him, as it has put to an end the US Obama’s doctrine of relative non-involvement. So they expected that Rex Tillerson, will talk tough with Russia’s officials and make them sense how far the US can go and that it is in Russia’s interests to abandon the policy that brings it «to the wrong side of history». The «tomahawks» gave Tillerson a very strong position for talks. However, Russia has appeared to be not frightened, or at least demotivated, but concentrated and preparing for the tougher times and deeper confrontation, though keeping the doors for talks open. And the Secretary of State entered exactly those doors. Tillerson held two much awaited meetings: with Foreign Minister Sergey Lavrov and with President Vladimir Putin, meeting with whom was under the question mark until the last moment. The bilan is not so negative as it was expected to be. However, negative moments can hardly be overcome in the nearest foreseeable future. Ukrainian issues apparently will not be resolved for a long time, until the US change position, so sanctions and damaged relations are likely to remain. In case of Ukraine only issue of Luhansk and Donbass may be settled in the framework of Minsk agreements. But Crimea, return of which to Ukraine was added by Trump's administration as an obligatory condition for ties normalisation, will literally never be returned to Ukraine, both because of historical justice and choice of the Crimean people, who have been struggling for independence from Ukraine since the very collapse of the Soviet Union. The history never lies. Tillerson and Putin have failed to find the common ground in evaluations of the deadly chemical attack in Idlib province,situation in Syria in general and Russia's support of Assad. Support, which Russia continually rejects, explaining its role in Syria exclusively as of backing of the SAA forces in their fight with terrorists. Russia keeps on demanding the investigation of the chemical attack while for the US and its allies it is an absolutely clear affair. Russia has once again blocked resolution in the UN Security Council that condemns regime of Assad for committing the atroce attack, calling for independent investigation. Previously Vladimir Putin has declared that Russia cannot take measures against regime of Bashar al-Assad until there are results of independent international investigations proving the guilt of the regime. Russia disapproves of the US strike on Syria, considering it a dangerous move to further destabilisation of the region and the world. Tillerson's acknowledgement of the fact that the trust between the two countries is on low level and that "the world's two foremost nuclear powers cannot have this kind of relationships" is a promising sign, giving more or less positive perspective for the ties normalisation, or at least stabilisation. 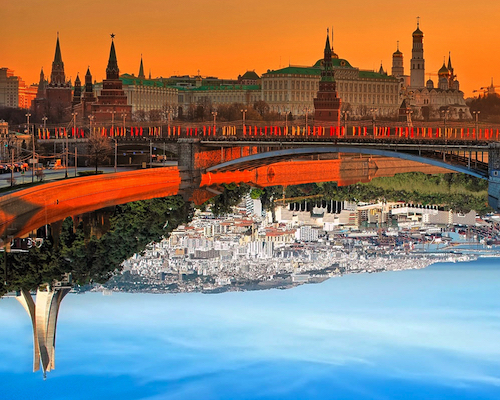 Another promising thing for the world's stability, is establishment of a bilateral working group, that is to "examine" the so-called "irritants" in relations between Moscow and Washington. Moreover, Russia is ready to come back to the bilateral air safety memorandum in Syria, thus somehow the sides have retreated to the point before the "tomahawks" attack. Russia and the US apparently have very similar interests in many areas of the global agenda, as fight on terrorism, however in case of some of them they have totally different approaches to how to achieve the desired result. Even in case of Syria, both sides are eager to put an end to the brutal conflict, to see united and stable Syria, but they see the conflict settlement in different ways, if not to say opposite ones. Assad's family reign coming to an end is a clear fact for the US side and its allies, while Russia's side sees other scenarios. 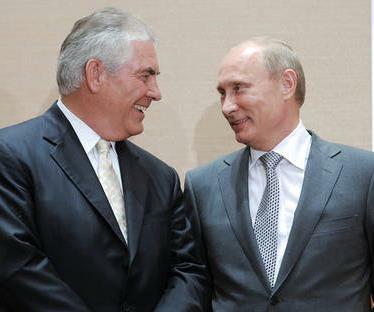 And to respond to Tillerson's appeal to sever ties with Assad and to work with the United States on different initiatives in the Middle East in a positive way, would mean for Russia a grave failure, geopolitical defeat of its six years conflict involvement and its policy. Russians either win or die but never give up – another important trait of Russian mentality coming from the depths of history. However Mr. Tillerson does not like historical excursus, though in case of Russia it is very useful to look deep into history books. Even being exposed by regime of Assad for many times during the six years of the bloody years, Russia will continue its general line, taken from the very beginning, as it is a matter of honor. Russia is sure that overthrow of Assad would bring to far more bloody and dangerous turbulences than his temporary remaining into power. And on this issue Washington and Moscow would hardly find a common ground unless the Syrians finally agree upon the launch of political transition and take the fate of their own country in their own hands. Trump apparently was happy with the way how the visit of the US Secretary of State has passed. After having brusquely changed his views upon NATO to diametrically opposite ones, he claimed during his press-conference with Stoltenberg that "it would be a fantastic thing" if the US, Nato and Russia got along better. However at the same time he assumed that "it may be just the opposite". So it is white, but can be black – it seems that it is characteristic feature of the current administration which have no clear understanding of not only what is exactly going on, but even lack understanding of what it actually wants. There is no strategy, and tactics is predetermined by momentary gusts, influenced by whoever. And it has such a scale, that the allies camp should be grateful for the US strike of Syria to a mother of three, Ivanka Trump, who was shocked by the photos of dead children. In such circumstances it is practically impossible to predict how situation will develop both on bilateral and international tracks, as long as administration is absolutely unpredictable itself. Thus Russia following the Secretary of State visit will host trilateral meeting of the ministers of foreign affairs of Iran, Syria and of its own, apparently forging their alliance stronger. Nothing makes Russia more stubborn and firm on its positions than abruptness of the US administration. Eager to unlock the door to US-Arab cooperation on tackling regional issues following decades of disappointment with Washington’s lack of understanding of their concerns, three Arab leaders are engaging US President Donald Trump’s new administration over the next month. Egyptian President Abdel Fattah el-Sisi met Trump at the White House on April 3; Jordan’s King Abdullah II will be in Washington on April 5; and Palestinian Authority President Mahmoud Abbas is expected to follow later this month or in May. In their meetings, these leaders hope to discuss a number of issues, including the Israeli-Palestinian crisis, the civil war in Libya, and the threat posed by global terrorist organizations. 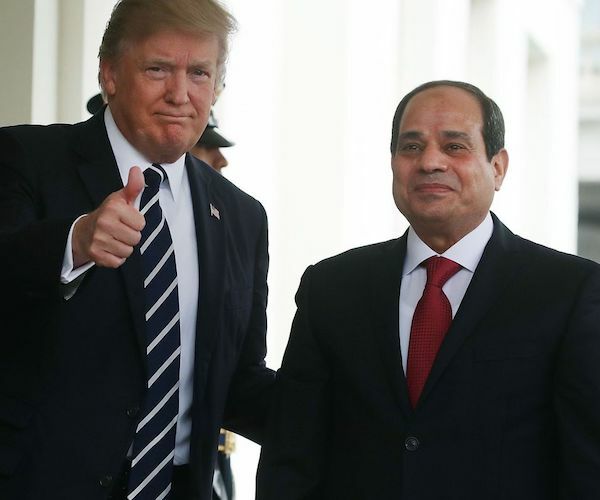 In their meeting on April 3, Trump and Sisi discussed holding an Israeli-Palestinian peace conference in the United States in June and renewing joint military exercises, which former US President Barack Obama halted in response to the Egyptian military government's bloody crackdown on protesters in 2013. The Egyptian leader, a former chief of the armed forces, sought logistical support from the United States for the Egyptian army in its fight against terrorism in the Sinai. Sisi would like Trump to focus more on ending the six-year-old civil war in Egypt's western neighbor—Libya. The two leaders also discussed regional issues, including Syria, Yemen, and Iraq. Abdullah, who hosted the Arab League Summit in Amman on March 29, is eager to solve a number of regional conflicts. Jordan is an important player in US-led military campaigns against al-Qaeda and the Islamic State of Iraq and al-Sham (ISIS). Abdullah will discuss with Trump the position of Arab leaders on the Israeli-Palestinian crisis—at the summit in Amman Arab leaders reiterated their support for an independent Palestinian state with Jerusalem as its capital, and opposed the construction of more settlements. Jordan has playedan active role in Arab efforts to end the stalemate in talks between the Palestinians and the Israelis. The king himself has advocated for Palestinian national aspirations. On his previous visit to Washington in February, Abdullah sought to persuade the new US administration to reverse itsrhetoric about moving its embassy from Tel Aviv to Jerusalem, and to call for a freeze of settlement construction in the West Bank. In his meeting with Trump, Abdullah will likely reiterate Arab support fora two-state solution. Thus, this time, the royal visit aims to make Trump more sympathetic toward the Arab perspective on the Palestinian issue. On his visit to Washington, Abbas is expected to ask Trump to seriously consider a solution to the Israeli-Palestinian crisis and will reiterate the Arab position that a two-state solution is impossible without East Jerusalem as the capital of Palestine. In his meeting with Trump, Abbas will likely argue that if there is no Palestinian state, no one in the Middle East, including Israelis, will enjoy the benefits of peace. Denying the Palestinians their right to statehood will only lead to a rise in the level of terrorism and extremism. The Palestinian foreign ministry said in a statement that on the sidelines of last month’s Arab League Summit, Abbas, Abdullah, and Sisi coordinated their positions on a number of regional issues and decided what they would discuss when they visit the White House. These visits to Washington come at time when the greater Middle East is beset by numerous wars and political crises. Restarting Israeli-Palestinian peace talks based on the Arab Peace Initiative adopted at the Beirut Arab Summit in 2002, which calls for “land for peace,” is a high priority for the Egyptian and Jordanian governments, as well as the Palestinian people. The Oslo Accords initiated a period of peace between Israel and the Palestinians, delayed permanent status talks on Jerusalem, and paved the way for the creation of an independent Palestinian state. 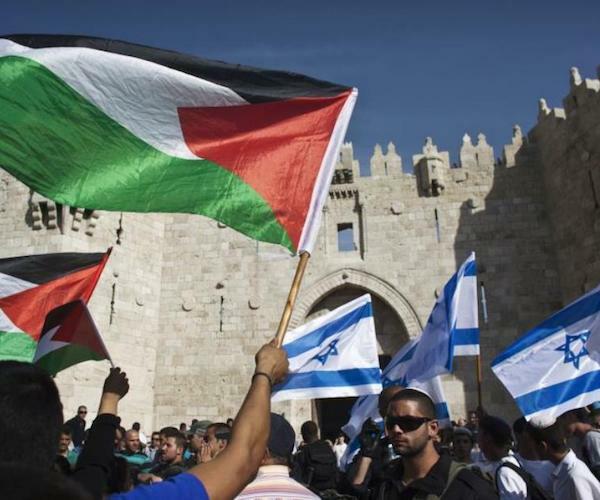 Two decades later, however, the Israeli-Palestinian conflict remains unresolved and there is still no sovereign and independent Palestinian state. Obama—who believed that a multilateral effort, and not a single power, would be able to help reach a final settlement—was unable to resolve the crisis. The Arab leaders want international powers to resolve the Israeli-Palestinian crisis because they believe that if a peace agreement is reached it will resonate positively throughout the region and the world. Will the Trump administration ask Israelis and Palestinians to prepare for talks in the near future? Will Jordan be in charge of liaising between regional actors and the United States in coordination with the United Nations (UN) and the Arab League? Will the forty-fifth US president become more sympathetic to Egypt’s agendas in Libya and in the Sinai? The answers to these questions remain to be seen. What is known is that Abdullah, Sisi, and Abbas will do their best to convince Trump to begin taking more seriouslytheir ideas to resolve crises that threaten the security of Americans and Arabs alike. For decades, Arabs have been justifiably disappointed with Washington’s stance on issues in the Middle East. The Jordanian, Egyptian, and Palestinianleaders are hoping to convince Trump to shift course and take Arab interests and concerns into account more than his predecessor did. If Washington fails to help the Arab world resolve its conflicts, there will be tectonic shifts toward radicalism, endangering governments in the region and opening the gate to even more chaos. Shehab al-Makahleh (Sam Mak) is a senior advisor at Gulf State Analytics with experience as a political advisor in the United Arab Emirates. IMESClub Member. A close friend of mine lives and works in London. Her message to me on the day of the terrorist act near Westminster was: “I’m afraid to leave the office. Everybody is alarmed. Terrifying. It’s London’s turn now.” The terrorists are moving the frontlines, step by step, closer to the homes of those who fight them, yet these countries still insist that evil will end with the fall of Raqqa. They are wrong. The international community has been treating the symptoms of this deadly disease, not the disease itself. As a result, terrorism has mutated. Radicalism is common to all religions, but Islam’s image has been damaged the most by it. The core of Islamic radicalism is more political than religious, and initially grew due to dramatic regional turbulence, caused particularly by Western interventions without a proper understanding of the Middle East. This created an environment conducive to the spread of dangerous ideas, turning religion into an instrument of manipulation. Muslims became pawns in a dangerous game, a brainwashed army without the capacity to think. The same is happening in Western societies due to the implementation of multiculturalism without proper integration policies. Immigrants had to lose their old identity but did not get a new one. The same is happening with their children but on a new level. Cognitive dissonance and a feeling of injustice felt by the children of less fortunate immigrants can easily radicalize them. Thus Islam is proposed as an instrument of self-identification that can help them find their place. Radical preachers and recruiters of terrorists, Daesh in particular, take advantage of this discontent in their propaganda and indoctrination. In particular, they hammer home the fact that Western countries have ruined the countries of immigrants, who are then humiliated and discriminated against by infidels when they have to move to the West. From the viewpoint of the target audience, that is exactly how it looks in many cases. The new face of terrorism is far more dangerous than before, and can hardly be tracked by security services. It comprises lone wolves with minimal equipment, and small groups of mostly home-grown terrorists operating in European cities. It is time the West recognize this, tackle it properly, and come up with better policies for immigrant integration. 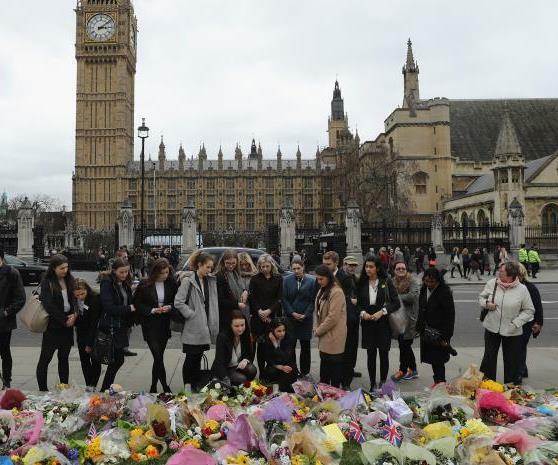 Despite Daesh taking responsibility for the attack in London, security services failed to find ties between the attacker and any terrorist organization. Daesh as a fading structure is using terrorist acts inspired, not directed, by it as a PR tool. The cheap attempt by some media to indirectly blame Saudi Arabia by saying the suspect visited the Kingdom at least twice is clumsy, because every Muslim wishes to visit Makkah at least once in their life. So far, the international community has failed to formulate an appropriate strategy to counter extremist ideology. Separate local initiatives are woefully lacking, while the ideology of radical Islam is spreading, taking advantage of new technologies. Via social media, recruiters and propagandists come in direct contact with youths and brainwash them. At the same time, moderate Muslims appear utterly incapable of playing a constructive role in preventing the spread of extremist ideology and the disfiguring of Islam’s image. They appear totally detached from the youth, unable to find common ground with them, and unable to use modern technologies as effectively as radicals. Traditional security measures cannot guarantee much under the current circumstances without a full-scale strategy to counter the spread of extremism at all levels. It is high time the international community admit the mistakes made. Nothing ends in Raqqa. The longer the international community tries to make the war on terror a PR stunt, the more unavoidable radicalism and terrorism will become. Arab countries led by Jordan and Saudi Arabia have been pushing the Americans and the European Union to prepare for a framework agreement between the Palestine National Authority (PNA) and Israel based on a two-state solution, which ensures a Palestinian state in the areas occupied by Israel in 1967. Though the laws of gravity are not in favor of Arab countries; yet, the endeavors of both Jordan and Saudi Arabia to solve the Arab Israeli conflict seem a preventive measure to avert any negative and destructive consequences that would arise if the stalemate between Palestinians and Israelis continue further with blurry hazy image. Following the visits of King Abdullah II of Jordan and Deputy Crown Prince Mohammad bin Salman of Saudi Arabia to Washington, Americans have planned to initiate a peace conference between Arab states and Israel to discuss the issue of stalemating talks between the Palestinians and the Israelis which have led to deadlock to their talks. Arabs believe that a two-state solution is the cornerstone to end the conflict in the Middle East, and that Americans should play a key role to help both the Palestinians and the Israelis reach an agreement that paves the way to establish a Palestinian state in pursuance with United Nations Security Council Resolutions 242 and 338. Any proposal to create one state where both nations live happily is refused by Arab countries and their leaderships and for sure by Palestinians as this means the Palestinians abroad will not be able to return to their country. This would be another impediment for future cooperation between Israel and Arab countries at trade and economic levels. All Middle Eastern countries are vulnerable to social unrest and extremism if the main reason for the conflict is not addressed and unresolved as further regional hostility to Israel would intensify and lead to a new type of skirmishes with new war players. The Arab Summit in Jordan will highlight this issue and the committees concerned will be discussing it thoroughly in order to ink an accord between the PNA and Israel on the two-state paradigm with American and Russian direct mediation and honest brokerage. No super power is allowed to distance itself from this mission as the internal situation in Middle Eastern countries is exacerbating due to economic and social pressures which would lead to implosion in a number of states that would destabilize the whole region and lead to eccentric comprehensive war with new fighting techniques leading to street wars that no army would be able to stand. The meetings of American President Donald Trump with Israeli Premier Benjamin Netanyahu and Palestinian President Mahmoud Abbas aim to probe into means to launch a new pace conference to discuss further details, taking the concerns of both Netanyahu and Abbas into consideration. However, the nonchalant comments and statements by American officials regarding the one-state or two-state solution complicated matters as both Palestinian and Israeli leaders cannot totally control their people and the situation if it aggravates. The one –state solution is rejected by a majority of Israelis as per a survey conducted in Israeli last February which showed that 55 per cent of Israelis and 44 per cent of Palestinians support the two-state solution for two people. The years of acrimony and hostility between both nations should come to an end and a new age of Arab-Israeli relationship should start as a new dawn has just started with a new American president who seeks to find Arabs and Israelis in one boat against Iran. Trump is currently working along with his administration on establishing a new paradigm for peacemaking, without abrasively encroaching upon Netanyahu’s views towards Arab Israeli conflict. In other words, any solution should be attuned with Israeli right wing opposition principles. At present, we are at the threshold of either of a two-state solution or radicalism and wild-eyededness. Thus, the two-state paradigm should not be a fairy tale at Trumpland or a dream in the Palestinian Wonderland. Arab leaders are not more than ever aware that any further escalation in the Palestinian lands would lead to a third Intifada or uprising which will spill over oil on fire to turn the region into an erupt volcano as all Middle Eastern states with no exception are on “hot tin roof”. The Arab Summit should reiterate that there is no solution to the regional conflicts without a Palestinian polity with its people to have the sole right of self-determination. This can be brokered by the two super powers: Russia and the USA. The sooner to resolve the conflict, the better it will be to foil all radical attempts to recruit more jihadis. In 2002, Arabs offered their Peace Initiative in Beirut Summit based on full Israeli withdrawal to the borderline before 1967 and a Palestinian capital in East Jerusalem. Now, at Amman Summit they can recap this initiative with American support to create the proposed affinity of Sunni Arab countries and Israel to counter the increasing Iranian threats to Arab states. This alliance would also help stand against extremism and terrorist risks. As far as the two-state solution might be unseen at least in the near future due to internal troubles in Israel, the PNA and the USA, the status quo will be last until further notice until an honest mediator or broker takes the initiative to end this dispute which lasted for over 69 years. An honest mediator will be in charge of understanding the nature of the Arab-Israeli conflict in terms of sovereignty and religion including the holy shrines in East Jerusalem. If there is no cooperation from the UN and from other neighboring states, the issue will amalgamate. If the issue of the holy shrines is left unrequited, radicalism and jihadi threats will be in the offing. “Half claim the vocation of a leader, a quarter believe they are prophets, and at least ten percent take themselves for gods,” former Syrian President Shukri Al Qawatli, speaking about the Syrian people in 1958. I have lived or worked in the Middle East and the Arab world most of my life. In one way or another, I experienced a half century of its culture and politics. I have seen its spikes, its highs and lows, its impetuous sixties led by Gamal Abdel Nasser’s dreams, its more practical if turbulent eras through the 80s and 90s, and then, the death of the Arabs in the first decade of the 21st century, when they were surpassed by the resourceful Turks, the wily Iranians and the ever-inventive Israelis. I also shared with the Arabs the excitement and the hope of the Arab revolutions of 2011. These seemed to herald a new time, a new Arab, less ideological and defeatist. Somehow, the events even seemed to represent a global leap: politics at its best in the sense of being truly a reflection of the people’s needs. Some of the early events even hinted at a shift towards new kinds of democracy and citizens’ engagement. But, the descent since has been clear and certain. Chaos, fragmentation and disorder are the rule of the day. No one knows what is up or down, left or right, or, most importantly, how to take a country forward. The region now is the example to all of what not to become, a lesson of human madness and foibles that must be avoided. Reeling in the past, fossilised in ideology and dogma, sustaining the unsustainable (such as the necessity to have many children), the Middle East seems to be its own worst enemy. Above all, the region is soaked in high emotions and distrust rather than a sober and moderate attitude required to address serious, even possibly mortal, resource challenges amidst severe global competition. It is correct that Egypt is not Sweden nor Iraq - Canada, and that the cultures differ. But, demographic and resource problems, as well as social alienation across the world, are human, not Arab problems. Trying to solve them by an obsessive attachment to cultural identity is madness if it blinds you to the needs of reality – and survival. The Middle East is exactly what the rest of the world should not be: egoistical, dreamy, distrustful, excessively attached to the past and to identity. It is “I” before anyone, however, that “I” is defined (self, family, tribe, party, religion, or nation), and dreams and excitement before reality, i.e. the triumph of illusion while the body and mind fall apart. One look at Cairo from any height will paint that picture of the body sinking, dust filled air, garbage covered rooftops, a human hive of survival with little consideration for the quality of that life. It’s a credit to Egyptians that they do so well under such conditions, their social culture remains full of humour and generosity, but for how long? There is no doubt that there are many young Arabs who do not share these unsavoury qualities of the region. Somehow due to virtual or real-life exposure to new knowledge and other cultures, and despite poor educational systems, they have become free of the traditional dead-ends to some degree. However, these youth do not run the region, they do not have the experience to, and will not have this chance for at least a couple of decades, during which time holy havoc may be wreaked through political mismanagement, and the in-fighting between all and all. The Lebanese civil war serves as a good example to the Arabs today, every group fought every other over 15 years and achieved no result at the end of the day. It’s a lesson not likely to be learned but repeated, as we now see in Syria. There are many that blame conspiracies for the Arab failure. In their neat world of good guys bad guys, the people of the region are once again the victims of the conspiracies of the rich and powerful, i.e. NATO, Israel and the USA. This can mean that the “evil three” is behind Al Qaeda or, the opposite, Assad. During one day recently in the region, one person told me that the Americans are behind the Islamists in Syria, and by another highly educated individual, that they are conspiring to keep the Syrian regime in place. It does not matter, whether the USA intervenes or not, it is at fault. The key point is that it certainly cannot be the fault of the locals; the devil lies elsewhere. Ironically, these Arab views mirror the simplicities of Bush’s Axis of Evil, but no one sees the parallels. The truth of international politics is much more mundane than conspiracies. It is a mixture of blindness and guesswork among leaders that most people outside the system cannot (or will not) fathom. The truth is that the systems and the bases for effective diplomacy, i.e. one that consistently produces results, don’t exist today, and if that in itself is a conspiracy then the conspirators are as much victims as anyone else – for they know not what they do. The truth is also that the failure in the region is not just an Arab failure. Israel is guilty of a profound self-centeredness in almost all its policies since its inception. The whole program has been about its survival, neighbours don’t exist or don’t belong. No matter whether this is the result of trauma and terror – no one is bound to horror forever – the bottom line is a profoundly destructive policy. It is not possible to build a constructive path out of a starting point that implies deep within it that one group is simply superior in needs and destiny to others. The Turks and Iranians are not much better. Implicit in their attitudes towards the region is imperial over-reach, each is deeply involved in a trance about an imperial past that must somehow take root in today’s realities. The Ottoman and Persian empires, however, are not destined to show their might again, for the conditions are not those of the 4th century B.C. or the 15th A.D., even if Iran and Turkey may well have a proper and constructive place in today’s world as economic and cultural powers. The region was not always like this. It was once the font of brilliance and enlightenment so captivating that it infected Europe with its knowledge. The seed of understanding went from the Toledo school of translators, the many interactions of the Crusades with the East, and even from the Islamicized Normans of Sicily up to Florence and the European city-states. From there it developed into the flowering of the Renaissance and the Enlightenment, the basis of much of the cultural and scientific gains we have today. If we reach back further, the region was also home to ‘Um El Dunya’, Ancient Egypt, truly the Mother of the World (and civilizations), as well as the daring of the original monotheism of the Levant, from the Jewish prophets to Akhenaton, and the creativity and craft of the Phoenicians and the Canaanites, their alphabet and navigational skills the equivalent of our information technology today. Even before that, the Middle East was the source of the most advanced leaps of human development from the cultivation of wheat to the magical draw of Gobekli Tepe, a temple site that may have been one of the most civilising events of history. We would not be who we all are without the Middle East, there is no doubt of that. However, the world, maybe the universe itself, may be marked, by ascent and descent, and so it is with civilisations. Once the height of human potential, the region is now in full and profound descent, reaching lows as quickly as it can – and with determination. It is true that nothing can continue to rise forever and that decline is inevitable, but there is always the possibility of new adaptation, or of stoically waiting during difficult periods. The rush to insist on reliving the past, of reasserting old identities and rituals over and over again, is however, an action in one direction: sure and fast descent, because it belies the nature of today’s reality. There are many people in the Middle East who would rather die and destroy than give up or change their habits, identities and dreams. It is here that the region offers a crucial lesson to us all. These are difficult times across the world. We have made a world of our own creation that is not sustainable, and continue to look within its limited logic for answers, looping further into consumerism and techno-distraction, worsening our condition in the downward spiral. We eat too many fish, pollute too much air, and want too many goods, while distrusting those from other tribes around us. Meanwhile, we expect solutions by staring into a screen, a state that only creates a deadened trance or a froth of excitement. Others look to international meetings for answers, but these are processes enveloped in processes, very distant from producing results. This is hardly the ground for real and concrete solutions to our problems. Our challenges are many and, sadly, one of the first steps we may have to do is look at the Middle East, and know what road not to follow. Even long-suffering Africa may be rising in new, wondrous and unexpected ways into wealth and riches while the Middle East spirals into an inchoate psychosis of identities. It may well be a strange wonder that there are places in this world that serve as a dramatic reminder for the rest of us of what not to do, in a sense so humanity can save itself. Unbeknownst and unconscious of its role, the Middle East may be like a sacrificial lamb so other regions have a hope of successfully diminishing their appetites or seeing more broadly into a common humanity. The lesson is there: self-obsession, whether of the individual or the group, and an insistence on a life of illusions will breed little but war, shortage and suffering. We must absorb this reality by looking clearly how the Middle East mismanages, and avoid that fate. Indeed, if that lesson is to be learned, then it may be worthwhile to be clearer regarding the problem. From this very region, in Sufi lore, there is the idea of the Commanding Self, the ‘Nafs el Ammara’, that is equivalent to the modern idea of the ego but, clearer in definition: it is that part of us that is crucial to survival, a life force we share with a hamster, but that also ‘commands’ the rest of the mind to sometimes follow its self-centered and potentially selfish ways. It does so through the mortal twins of positive and negative expectation, of pleasure and pain, hope and fear, the tools of basic survival. It can either perform its limited if necessary function, or infiltrate and even take over our minds like a clever parasite. Over a lifetime of practice, it can lead to endless greed and desire and the desperate anxieties and dissatisfactions that come with those tendencies. It can even take over our dream centres and, in a dark weave, ensure that we only imagine a massive illusion that, it assures, is ‘for our survival’. It also demands stasis in the tentacled house of selfishness it has built, and it does so by speaking in profoundly commanding ways of what to do and not. In other words, the Commanding Self can twist its basic purpose, as a force of life, and use our complex mind for its ends. The result? A self-affirming loop of endless appetite and anxiety. This is a kind of mental greed that is as devastating as the material greed plaguing so much of the planet. It is this state that is behind much of the region’s errors and falsehoods, an explanation of why its problems are cultural and psychological rather than material. The Middle East is shot through with the vigorous and muscular arms of the Commanding Self. The devil lies there, not elsewhere. From the megalomaniacal speeches of Hassan Nasrallah, to the mother using emotional blackmail to keep her children near her, from Ghaddafi’s African manias to the exaggerated pride of the Arab male, the Commanding Self shows its might. It also translates into daily dishonesty and distrust. Meetings are held, agreement come to, but afterwards, each participant feels the right to ignore any consensus: the right to an absolute veto because “I” am the most important. This pattern causes everyone to take advantage before being taken advantage of, and the fangs of the Commanding Self become finely honed indeed. At a fundamental level, this is a world of ‘either or’, with me or against me, the greys disappear and the unit trumps the whole. Stimulation and emotion must be immediate. Authority – the Commanding Self – is cherished and sought after and duplicated at all levels. The untamed pride and self-importance prohibit the validity of others, and the new. From parent to child, from the mosque to television, the habit of grasping and emotional turmoil and tyranny of authority, of the ‘command’, is passed on in the broken culture of the region. A consequent lack of creativity, and individual and group self-obsessions, come to define the culture. There is no doubt that every region in the world shares some of these qualities, but, as media headlines and the chaos on the ground show, the Middle East is ahead of the game. As stated above, it is far from only the Arabs, Israel’s attitude towards its neighbours is also a testament to the power of this part of our psyche. Distrusting of all, dismissive of the needs of Palestinians, and fearful of eternal oppression, the Israelis have fed into the grand pipeline of darkness in the region, feeding it and growing in it: survival at all costs, including life itself. This way can be given up. Humanity has much more to consider for itself than the Commanding Self. Our imagination, creativity, reason, empathy and many other qualities working in a balanced way, along with a Commanding Self that serves greater interests, can lead to wonders and solutions that are barely a twinkle in any one’s eye now. With the proper level of self-awareness, practise, and learning; above all by deciding to wake up to what is really going around us, we can become fuller human beings. It is when people in the region realize that they are just parts of a whole and not in some way entitled to privilege, including that of the victim, that the healing will begin. Such a sensitive, positive and active humility cannot harmonize with terms like Party of God or Chosen People, the superiority of one faith over another, or of frozen rituals from the past as ways of managing societies today. It is the opposite: our spirits and minds liberated from their regular chains and worn patterns and translated into action that are the road to our answers. Enchained by the past, the Middle East refuses – so far – to reach these new paths. Yet it is also, ironically, the great lesson from the Middle East that it can be done. Many great people from there have shown the way, from Rumi to Mohammad, from Isaiah to unrecognised men and women of wisdom, to simply those who demonstrate daily their generosity or the courage to change convention. From its past, we can seek out some of the lessons of positive change and human possibility. For now, we must see the region soberly as a lesson of the dangers and disaster of descent. Maybe one day again, it too will join in the chorus of ascent that we are all designed to pursue. John Bell is Director of the Middle East & Mediterranean Programme at the Toledo International Centre for Peace in Madrid and also Director of The Conciliators Guild, an initiative aimed at redefining our politics by addressing key aspects of human nature. IMESClub member. The Yemeni conflict is frequently called a forgotten war, because in terms of media coverage it is always overshadowed by Syria and Iraq. But its tragedy is no less serious, and has no justification; this is the only simple thing about the conflict. Politically and historically it is a complete mess, more so than the public imagines. The roots of the bloodshed go deep; we must take this into account when analyzing the situation. The current crisis started not in 2014 but in June 2004, and its direct roots are in the 1962 revolution in North Yemen that ended more than 1,000 years of Zaidi rule. 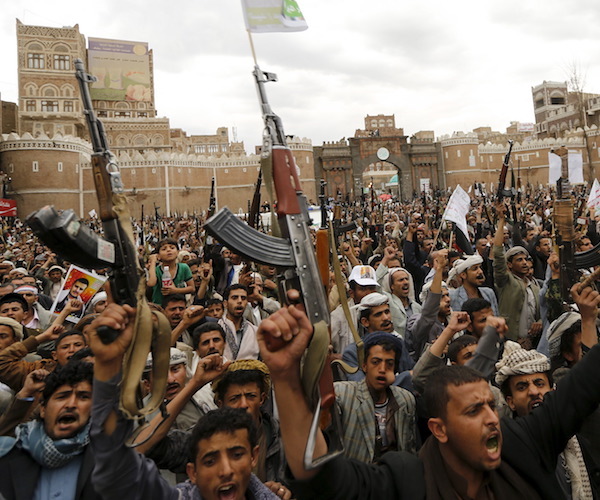 In 2004, the conflict flared when dissident Zaidi cleric Hussein Badreddin Al-Houthi launched an uprising against the Yemeni government, following an attempt by the authorities to arrest him. The government accused the Zaidis and other Islamist groups of trying to overthrow it and the republican system. Iran was accused of managing and fueling the uprising with financial support. The rebels said they were defending themselves, and accused the government of committing an act of aggression. The conflict has since killed thousands of people and caused severe economic losses for the country. In 2011, the Houthis tried to ride the wave of the 2011 revolution, expressing their full support for democracy. They overthrew the local government in Saada and established their own rule, independent from Sanaa. Following the revolution, Ali Abdullah Saleh stepped down after 33 years as president, and was succeeded by Abed Rabbo Mansour Hadi. Yemenis had many reasons to be discontent with the government, including enormous corruption, high levels of unemployment, economic decline and the absence of prospects for youths. These formed the core of the uprising, which was part of the Arab Spring. A change of leader could hardly bring significant change to the country; it needed in-depth reforms and a full restructuring of the governmental system. Since 2011, Ansar Allah, the official name of the Houthi movement, had been sustainably undermining the authorities in Sanaa. It overthrew them in January 2015 after months of clashes and protests, again seizing on popular grievances such as the rising price of oil to gain support from ordinary Yemenis. Pro-Saleh forces joined Ansar Allah, even though the Houthis supported the 2011 revolution against him. Hadi was forced to leave Sanaa, and the Houthis seized key provinces, though they have been expelled from southern Yemen due to Operation Decisive Storm. The campaign is carried out by a broad international coalition led by Saudi Arabia and supported by many major global and regional players, including the US. It is accompanied by Operation Restoring Hope, whose aim is to reach a political solution, but so far without concrete results. Seven million people are on the brink of starvation due to the conflict. The health care system has collapsed. The conflict is worsening and becoming sectarian. The Houthis can no longer deny receiving backing from Iran, which they have been trying to conceal since 2004. It is difficult to deliver humanitarian aid, especially in areas under Houthi control, not only due to airstrikes, but because of Houthi denial of access to aid convoys, and provocations by local community leaders. A Russian humanitarian convoy recently faced such a provocation while distributing aid in the Darawan camp for internally displaced Yemenis, forcing it to stop its work. Such cases are common and lead to the continuation of people’s suffering. Attempts at constructive dialogue have failed as the Houthis and pro-Saleh forces have violated agreements and cease-fires. But a cease-fire is urgently needed, at least to allow humanitarian convoys to reach those in need, and at best to launch a political process and implement a UN roadmap. The insurgents are becoming global troublemakers, recently planting underwater mines in Bab Al-Mandab, thus threatening the security of navigation in one of the most important waterways. The situation is aggravated by Al-Qaeda and other terrorist groups. 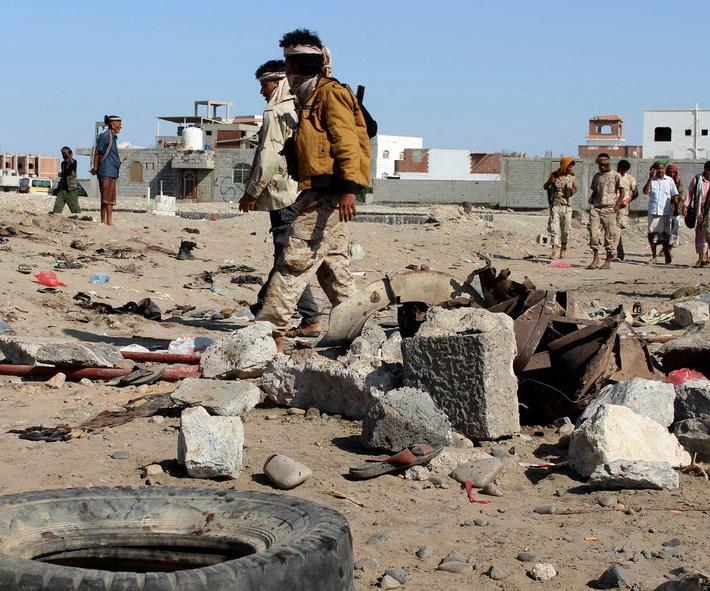 Yemen is bombed not only by coalition forces but also by the US, which has been striking terrorist positions in Yemen since the mid-2000s, inflicting civilian casualties. 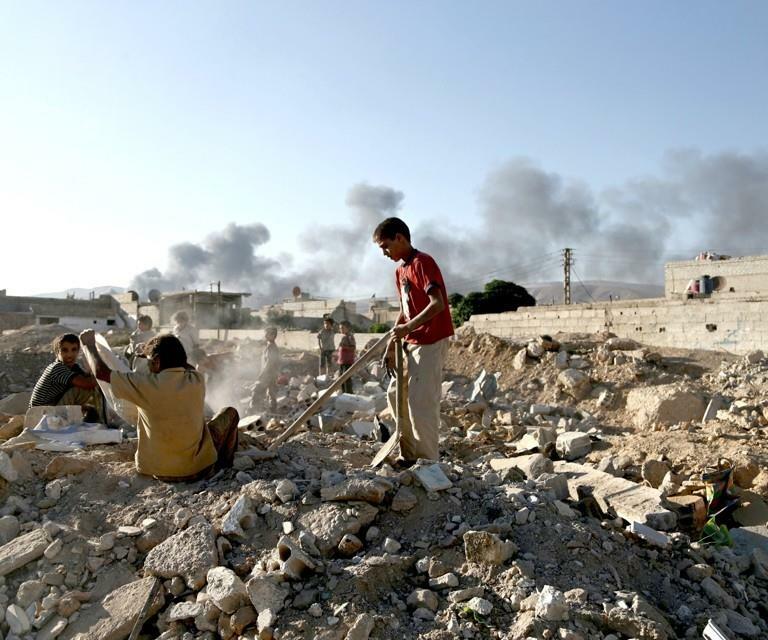 Coalition airstrikes are undoubtedly causing severe civilian losses, as in any similar situation. Peace must prevail soon, not in the name of politics but for civilians. The coalition and its international supporters, as well as the legitimate President Hadi and forces loyal to him, are eager to work on a political solution and an inclusive government. But the international community does not have sufficient influence over the Houthis, whose actions belie the innocent image they are trying to portray. They are first to be blamed for civilian suffering. Their slogan “death to America, death to Israel, a curse on the Jews and victory to Islam” hardly correlates with the image of an oppressed people fighting for democracy and equal rights. The slogan is reminiscent of something heard all too often in Iran. Continuing violence and sectarianism are creating regional instability and a breeding ground for extremist groups and terrorism. A roadmap to settle the conflict exists. The hardest question remains how to make all sides speak with each other. They have to demonstrate a high level of responsibility for the fate of their own compatriots, who have become hostages, and put aside politics to work on building a common fate. The work of government institutes that are trying to function despite the conflict shows the high potential of Yemenis to overcome the crisis. The international community should take an active part in the peace process. 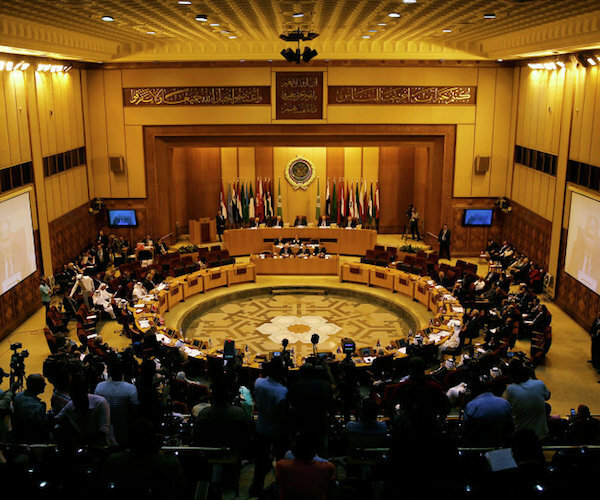 The 28th Arab League Summit in Jordan which will be held in the Dead Sea area on March 29th, 2017 with the participation of Arab leaders, United National Secretary General Antonio Guterres and representatives from Russia, the USA, the EU and the Africa Union would be the last chance for Arab countries before getting into further chaos. This summit is the second to be held in Jordan since 2000, with expectation to push the Arab joint work forward at all levels, presenting a glimmer of hope to tackle most of today’s challenges facing the Middle East, offering opportunities to restart an Arab strategy regarding critical and significant matters as the future of the Arab League and Arab countries is at stake. The summit is a wakeup call to all Arabs that unless constructive measures are adopted by the leaders to solve the stumbling blocks in the Arab cooperation and coordination path things would aggravate as the youth will be losing faith in their governments. The summit which is presided over by his Majesty King Abdullah II is very important for many in terms of its time and place. Time is critical as the whole Arab nation is passing through hardships whether politically or economically. The venue of the summit in the Dead Sea resorts will give the Israelis that Arabs are stuck to their Peace Initiative for a comprehensive and sustainable peace between Arabs and Israelis based on a two-state solution. It is said that if the Syrian president Bashar Al Assad is not attending the summit, a representative will be attending and this could be from another country who Al Assad entrusts. What confirms this is the statement issued March 19th by the Jordanian foreign ministry that Syria will not be attending to Arab League Summit in Amman in compliance with Arab League resolutions. This summit is the most important in the life span of the Arab League at all as it either solves the pending issues, lead to rapprochement and end up rift among Arabs themselves to counter terrorism and the looming political and economic threats or many youngsters will consider joining radical and terrorism factions against governments. The summit, according to internal sources, would send a message to the international community that there is a dire need to solve regional issues through a unified Arab stand that help narrow the gaps and rifts among Arab countries. On the agenda so far are the conflicts in Libya, Yemen, Syria and Iraq as well as the Palestinian cause. The visits by two Arab leaders to Washington in January and in March and their outcomes will be also on the table to give Arab leaders an idea how the new American administration is thinking and how the Arab leaders should deal with US President Donald Trump. It is said that the Russian participation in the Arab League Summit will not be symbolic but rather it will be very effective due to the Russian key role in the war against terrorism in the Middle East which started with Russian military intervention in Syria. Russian participation is viewed by some analysts as very important as it will be representing Syria as well expressing their views and perspectives with regard to means to counter extremism and terrorism at the international level. Some analysts said that Russia, Egypt and Jordan strived to invite the Syrian president to attend the summit and to reconcile both Al Assad and Saudi King Salman bin Abdul Aziz. Kuwait and the UAE like to see Syria back to the Arab League once again to give a boost to the joint Arab effort at the international arenas and to open a new page in the inter-Arab relations for the betterment of the Arab nation. The summit will stress the need for solving the Arab-Israeli conflict, condemning the flagrant Israeli arrogance and disrespect of international legitimacy based on the two-state solution. The summit which Jordan eyes is one that renders to turn it into a platform to launch “institutional and effective pan-Arab action”. Jordan pins high hopes that it will be able to achieve this goal and that Arab states would have the will to make a difference to the status quo and the hard conditions the whole region is undergoing through collective understanding and cooperation to remove all barriers that would hinder the solution of Arab differences. The kingdom is giving due momentum to the issue of peace between Palestinians and Israelis which is considered as the main reason for the deteriorating economic, military and political conditions in many Arab states. Russia’s foreign policy in the Middle East in recent decades was based on a harmonious approach that helped maintain good ties with all the players in the region without getting involved in political and sectarian wrangles.Russia’s involvement in Syria made this balance very difficult to maintain, since the Syrian conflict showed the sectarian and geopolitical fault lines of the regional powers.A main reason for the skewed balance now is Iran’s interference in Iraq and its multidimensional support for the Damascus regime, also given through groupings such as Hezbollah or other Shiite militias originating from Afghanistan and Pakistan. The Iranian involvement becomes more alarming as the conflict progresses. Tehran’s involvement in Syria and Iraq is clearly not limited to the “noble” causes of fighting terrorists, helping Syrian minorities or supporting and defending the “democratically elected president” against “terrorists.”Iran has always had far-reaching plans, primarily to counter major Sunni countries in the Gulf, chiefly Saudi Arabia, and change the regional balance of power.Iran is also pursuing its goal of exporting the revolution, which means, according to Hamid Reza Moghaddam Far, Islamic Revolutionary Guard Corps (IRGC) deputy commander of cultural affairs, “not sending advocates and preachers to other countries, but rather exporting the ideology.”This dubious export will go well beyond the Mediterranean.This ideology is brought in Iraq and Syria by gangs like Afghan Fatemiyoun Division, a Shiite militia fighting in Syria on the side of Assad regime.According to Tasnim News Agency, this division will stay involved in Syria for as long as Islam, read, in this case, Iran’s geopolitical ambitions, does not know borders; it “will always stand by Khomeini’s divine goals.”Iran is using Shiite Muslims as an instrument in its dirty game of expanding its influence and destabilizing Sunni neighbors.Saudi Arabia and its regional allies do not have any illusions about the troubles the Iranian expansion will bring them.Thus, by tragic coincidence, Syria has become a battlefield of rising sectarian regional tensions.The attempts to ease this sectarian conflict and careful messages of peace and detente coming from the western side of the Gulf are unheard, muffled by a roar of accusations coming from the Gulf’s eastern side. It is not that Russia cannot cope with having Iran as a rival, particularly taking into account the latter’s difficulties on the global stage. By aligning with Tehran, Moscow seems to be on the wrong side of history. Despite declarations of a balanced policy that keeps it friendly with everyone and does not allow it to build alliances, Russia is actually failing to maintain this policy in Syria, even despite its will, because it is being squeezed between the players there. The success of the Astana talks and the relative success of the new Geneva round only strengthened the Iranian position, especially after Iran was recently recognized as a guarantor of the cease-fire in Syria, leaving out GCC countries. True, the GCC countries were invited to take part in talks, but Saudi Arabia cannot accept the role of spectator and the other GCC countries will not get involved without this key Gulf power. UN Syria envoy Staffan de Mistura has been urging all foreign players in Syria to not turn the Syrian sides into pawns of their own game. Deputy Crown Prince Mohammed bin Salman’s visit to Washington signals the re-emergence of Saudi-US partnership. Moreover, it seems that in Syria, the two major players will try to overplay the until now successful trio. But is this a reasonable step? 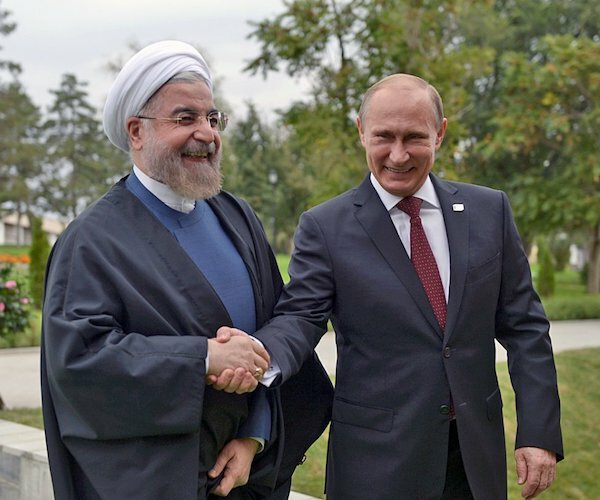 Due to certain circumstances, Russia appears to be on the same side with Iran in the Syrian game, even though it tries to stay relatively “impartial.” There is significant cooperation between Russia and Iran in many areas, boosted after Russia’s spat with Europe. Then, after all, Iran is a neighbor. It is also a dangerous rival and an absolutely unreliable friend. And between the two, Russia is choosing “an unreliable friend.” Yet it is not that Russia could not cope with having Iran as a rival, particularly taking into account the latter’s difficulties on the global stage. And expecting such an answer, the GCC is reinforcing the US presence and alliance in the region to counter Iran’s and its allies’ imminent threat. For Russia, as always, cooperation with Iran does not exclude an in-depth partnership with GCC, but Russia is interested in cooperating with the Gulf. With some GCC countries, like Qatar and Bahrain, relations are progressing well, while with other, they seem stuck or hostile, adding to the climate of mistrust. Russia is clearly making a grave mistake by getting bogged down deep in the sectarian mess and losing its impartial status, but it can hardly avoid it. But certain countries are making an even bigger mistake by expecting to overplay the existing trio, as deepening the geopolitical misunderstanding over Syria will plunge the region in an endless mess that costs dearly the civil population and the global stability. A great role Saudi Arabia could play, as a leading and powerful GCC state, would be to not urge the US to oppose the Russia-Turkey tandem, with an adjunct Iran, but to make Russia, Turkey and the US work together on resolving serious issues in Syria and Iraq, as well as to fight terrorism and minimize Iranian influence and role by actively taking part in all activities itself. That would be a worthy gambit, hardly expected, but benefiting the whole world.